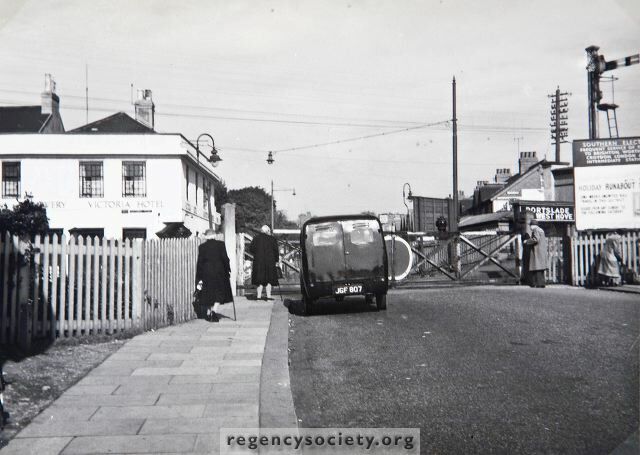 When this was first introduced the roadway was quite narrow, less than the width of the two gates, in fact. Road widening North of the gates resulted in the approach being at an awkward angle. This position became acute as traffic increased until, in 1954, it was decided to resite the actual crossing several feet to the east.